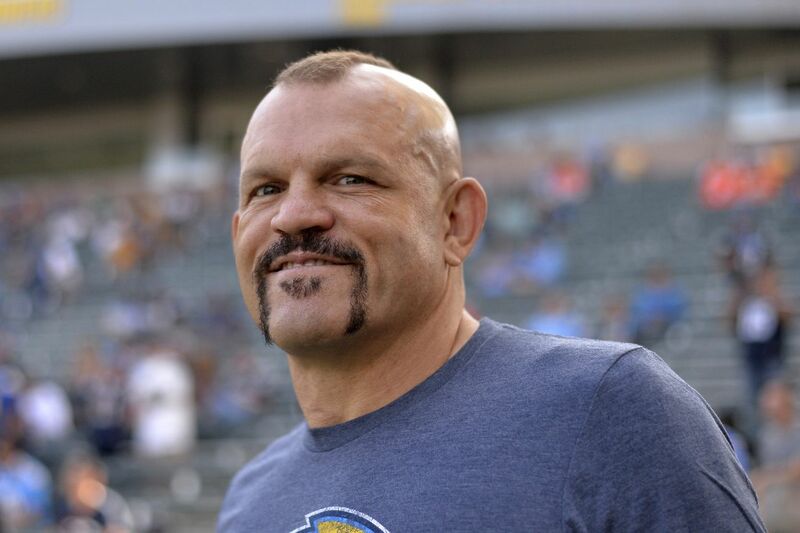 There was a UFC in Wichita, KS, last night, and if you know anything about American geography… you still probably don’t know where to find Wichita, KS. But! The main event was former heavyweight champ Junior dos Santos against stone-fisted ham-and-egger Derrick Lewis! And the while it lasted, the fight was exciting! Essentially, it was all about JDS stalking Lewis, pecking away with jabs to the body and leg-kicks. Lewis did well firing back with kicks of his own (wait, he can kick? ), but the real thrills came whenever Lewis fed him some knuckle-sandwiches. 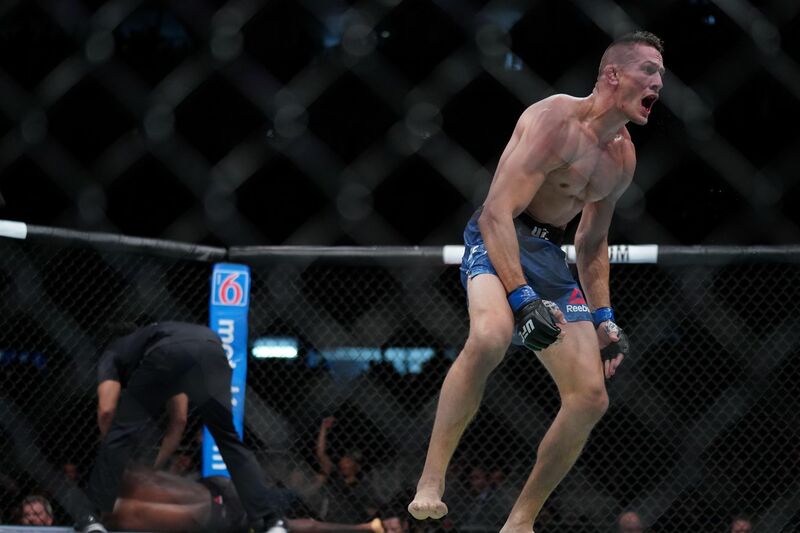 A few of them made the Brazilian stumble and fall, which, when you consider the times in recent history when JDS got smashed, really lent some gravity to the situation. Then Lewis ate a body blow that had him struggling to stay alive until the bell – fun! Eventually, though, JDS was just too accurate and too aggressive, and in Round 2, he began tagging Lewis in the head until Lewis dropped. I don’t know what a win over Lewis does for JDS and his standing in the division, but hey, it was a good enough performance for a show in Wichita. 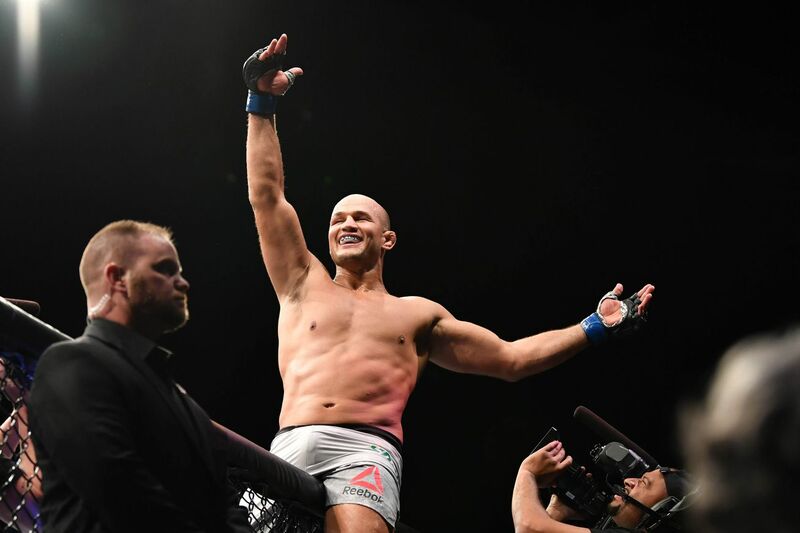 The post UFC on ESPN+4 Results: Junior Dos Santos Punches Derrick Lewis Into Oblivion appeared first on Caged Insider. The UFC has been making some real head scratcher decisions lately. Turning down Georges St-Pierre vs. Khabib Nurmagomedov is stupid, but makes a certain amount of sense when you understand UFC president Dana White’s general disdain for GSP. Then there’s Conor McGregor’s latest fight against Donald “Cowboy” Cerrone, which according to some is being held up because the UFC wants it to be the co-main event. Wait, what? McGregor as co-main? The biggest draw in UFC history? Well, you see, the UFC is apparently so obsessed with the concept of title fights always being the main event, they won’t even allow a beltless McGregor to headline a card if a championship fight is included. Many are assuming there must be more to it than just the main event slot. Whatever the case, Chuck definitely thinks it’s a fight worth putting together. 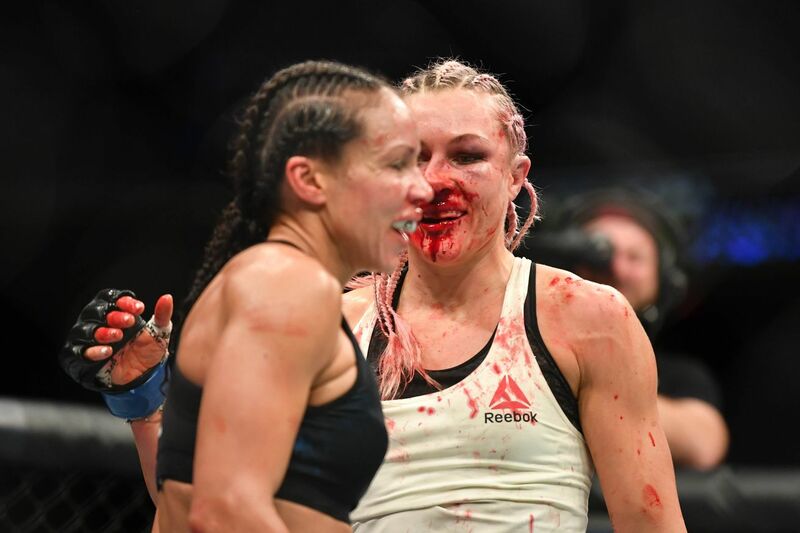 Yana “Foxy” Kunitskaya had a hard night in the cage during Saturday’s UFC Wichita prelims, taking some pretty serious shots to the face that left her nose broken and eye swelled shut by the end. She did, however, still manage to earn the win over Marion Reneau on the judges’ scorecards (29-28×3). That was enough to make her happy, as a post-fight Instagram shows. The video post showed a bruised and blood covered Kunitskaya in a hospital bed with a medical mask covering the lower half of her face. ”I’m okay, guys,” she says as she starts to laugh herself. ”You gotta laugh about it!” Sefo says as he continues to chuckle. A follow up Instagram photo gave more news on her condition. The win over Marion Reneau improves Yana’s record to 12-4 MMA and puts her on a two fight win streak. Her sole defeat thus far in the UFC was her debut match against Cris Cyborg, which saw the Russian fighter suffer a TKO loss 3:25 into the first round. She’s seeing much more success now that she’s back at bantamweight, although she’d obviously prefer to take less damage in the future. “I am sure I can do better than this but still we got the W,” she wrote immediately after the UFC Wichita win. Conor McGregor, despite riding the sidelines due to suspension, drew attention from most of his rivals this past week. Not only did Nate Diaz take a shot at McGregor for the Irishman’s recount of their UFC 196 showdown, but Donald Cerrone blasted “Notorious” for not accepting a potential co-main event bout, Paulie Malignaggi challenged McGregor to a grudge match after signing with Bare Knuckle Fighting Championship (BKFC), and now Floyd Mayweather Jr. is throwing his hat into the mix. Never one to bite his tongue, Mayweather responded to McGregor in a recent interview with TMZ Sports (shown above). “Everybody wants a rematch with me. 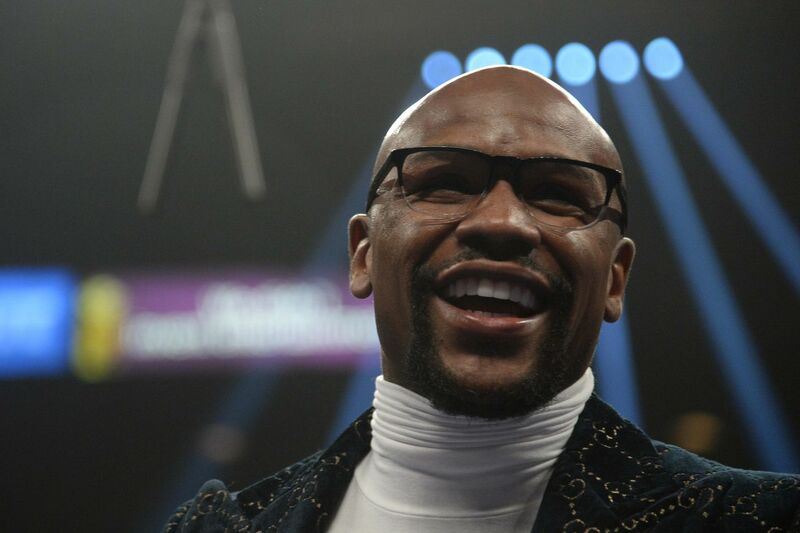 “Don’t worry about that,” said Floyd while flaunting his expensive watch. Mayweather, who used his win over McGregor to push his undefeated boxing record to an astounding 50-0, also didn’t sound to keen on a rematch with boxing superstar Canelo Alvarez. While Mayweather was briefly linked to a crossover into the Octagon, the 42-year-old retired combat star currently has no plans of returning to fighting. But fight fans know from past experience that Mayweather can easily be brought out of hiding once the money hits the table. What say you, Maniacs? Do you want to see Mayweather vs. McGregor 2?